NICE to Present the Future of Contact Centres at CCW 2019 – February 18-21, 2019 at the Estrel Congress Centre in Berlin. NICE have announced that it will be returning to Call Centre World (CCW) to showcase how it can help organizations address and overcome today’s biggest contact centre challenges. NICE will display its unified portfolio of holistic solutions for driving customer experience improvements in Hall 4, Stand A4/B3. The company will also present a seminar as part of the CCW education program and host a happy hour at the event. 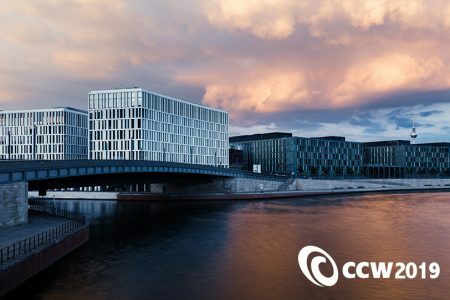 Known as Germany’s biggest contact centre event, CCW 2019 will be held from February 18-21, 2019 at the Estrel Congress Center in Berlin. Recognized by Forrester Research as a leader in Customer Journey Analytics, NICE will be showcasing the importance of interaction analytics in improving customer experience, as well as how it can help businesses combat the rise of identity theft and fraud. In addition, NICE will demonstrate its ability to support companies in meeting today’s regulatory requirements across industries. The seminar will focus on why companies should be putting interaction analytics at the centre of their actions and how they can remain competitive in today’s customer-centric world. 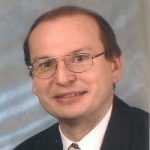 Dr. Lay will also discuss the importance of analyzing digital channels to understand the customer journey as a whole. Analytics: Accurate, efficient and flexible technology that turns customer interactions into valuable insights. Innovative customer interaction analytics solutions help businesses unlock the untapped value of unstructured data to understand what customers are saying, what they’re asking for and their pain points, thereby increasing operational efficiency and driving up customer experience. Cloud: CXone is a fully-integrated and open cloud contact center platform combining Omnichannel Routing with the foremost technologies in Workforce Optimization, Analytics, Automation and Artificial Intelligence. It empowers organizations to provide an exceptional customer experience by acting smarter and responding faster to ever-changing consumer expectations. Robotic Process Automation (RPA): Delivering unique value to process optimization, RPA enables businesses to hand manual, time-consuming tasks to a robotic workforce that is fast, accurate and easily scalable. This frees employees up to focus on high-value activities, resulting in increased employee and customer satisfaction, improved productivity, rapid ROI and better resource utilization. Workforce Optimization (WFO): A suite of tightly integrated solutions that enable organizations to improve agent productivity, identify performance gaps, deliver targeted coaching, and effectively forecast workloads and schedule staff. An integral part of the solution suite is Adaptive WFO technology, which uses analytics-based modeling to dynamically personalize contact center processes, such as scheduling, coaching, training, evaluations, and motivational incentives, at an individual contact centre agent level. Real Time Authentication (RTA): With identity theft and account takeover costing billions of dollars, organizations must do everything they can to verify consumers’ identities and protect them from fraud. NICE RTA provides end-to-end authentication and fraud prevention for contact centers, incorporating voice biometrics and phone number validation to prevent fraud and improve security, with zero customer friction. Recording and compliance: From PCI-DSS to GDPR, MIFID II and FSA, organizations today must comply with a multitude of regulations. NICE AIR & Engage provides a certified solution for compliance recording to satisfy regulatory requirements while providing high flexibility, scalability and availability. In addition, the Compliance Centre ensures that organizations are compliant by design, bringing together proactive compliance assurance capabilities and dedicated policy and retention management under a single umbrella. Check out the NICE speaking session – Wednesday, February 20, 2019 at 15:30 in Hall 2, Messeforum. This will be followed by a happy hour, where CCW attendees can join NICE experts for a drink and discussions at the NICE booth in Hall 4, Stand A4/B3 from 17:00 onwards.